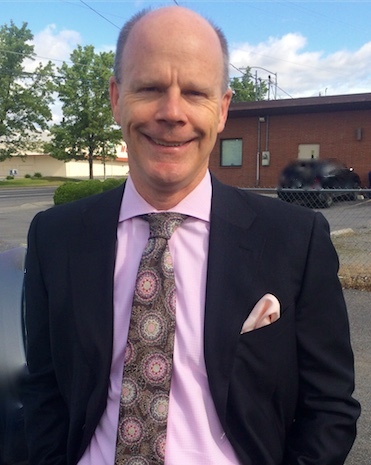 Geoff is one of the top trial lawyers in Spokane. Many Spokane lawyers and other professionals have hired him to represent them in their personal injury, wrongful death, business and employment matters. Geoff has been a member of The Best Lawyers in America for 2016, 2017, and 2018. The Spokane Coeur d’Alene Living Magazine selected Geoff as one of the area’s top lawyers in 2010, 2011, 2013 and 2014. In addition, Geoff has held the AV Peer Review Rating by Martindale-Hubbell since 2004. This honor is given to a select number of lawyers and is the top rating available for any lawyer in the United States. The AV Rating is an outstanding achievement and establishes that Geoff has earned the highest rating for his legal ability and integrity. Geoff also has a 10.0 Avvo rating. Geoff has represented hundreds of individuals injured in various accidents, including car accidents, premises liability, dog bites, and products liability. Geoff understands the devastating effects of serious personal injury or death and works closely with accident victims to maximize their recovery and guide them through the legal process. In addition, Geoff has represented clients in complex employment disputes. He has been involved in overtime, trade secrets, sexual harassment, discrimination, non-competition, and wrongful discharge matters, as well as countless other types of legal matters pertaining to workplace disputes. He has represented clients when insurance companies do not treat them fairly, and he has been involved in many bad faith lawsuits against insurance companies as well. Geoff has also represented clients in banking, breach of contract, construction, trust, elder and real estate disputes. Geoff’s broad and multi-disciplined practice uniquely qualifies him to represent clients in both simple and complex disputes and claims at every stage of the process, including arbitration, mediation, and even trial.